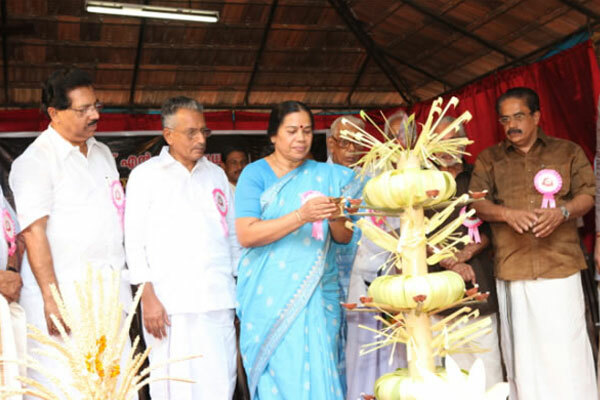 The Inauguration of Navathi Celebrations was done by The Honorable Minister for Health and Family Welfare, Govt. 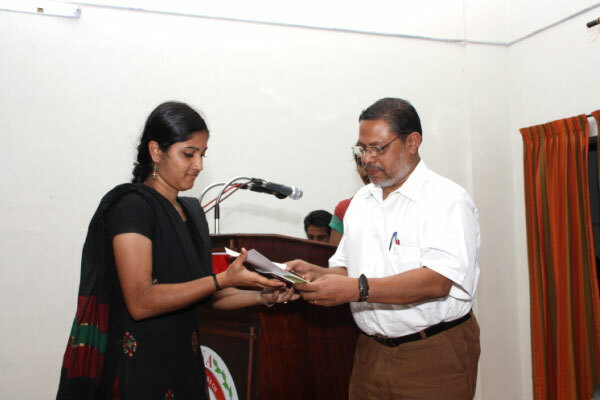 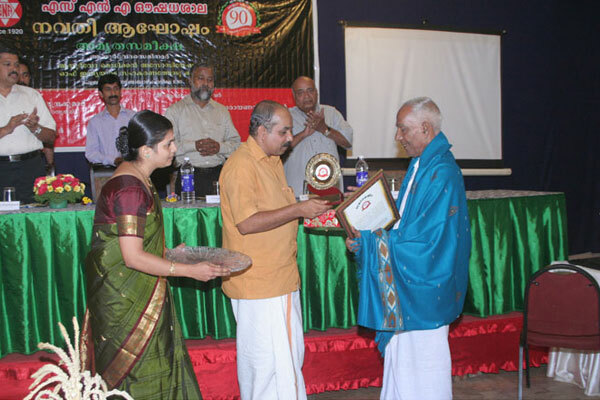 of Kerala, P.K.Sreemathy Teacher on January 10, 2010 in the presence of distinguished guests like Honourable Revenue Minister Sri . 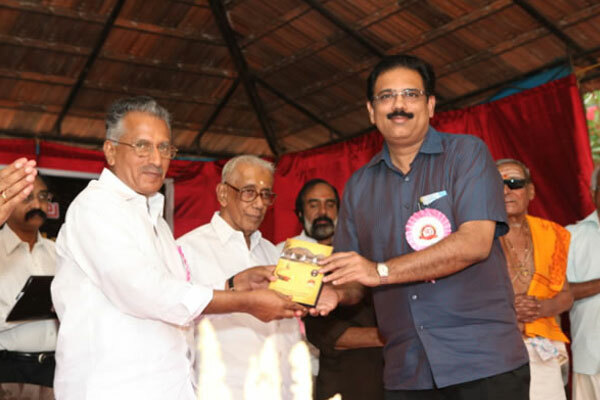 K P Rajendran , Honourable Member of Parliament Sri P C Chacko and Sri Therambil Ramakrishnan MLA, Thrissur, Sri Artist Namboodiri, Padmabhooshan Ashtavaidyan E T Narayanan Mooss and Ashtavaidyan Sri Alathiyoor Narayanan Nambi. 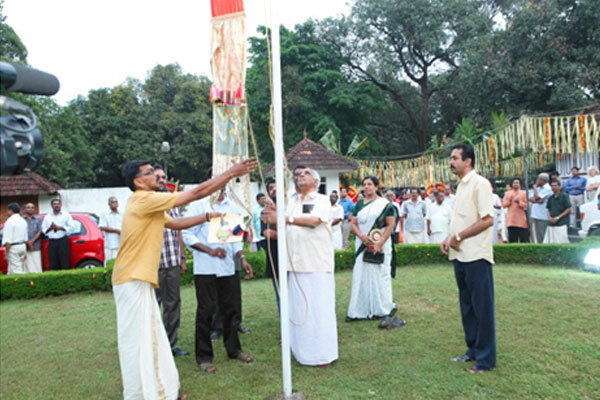 In Addition a rare event of distinguished gathering of Various Ashtavaidyas was also conducted. 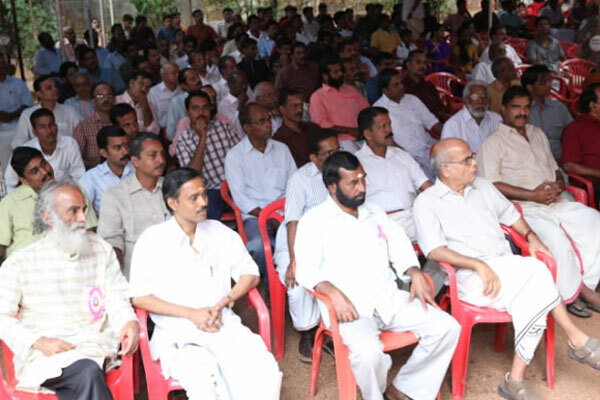 A unique gathering of eminent Ashtavaidyas were organised at SNA Oushadhasala Campus. 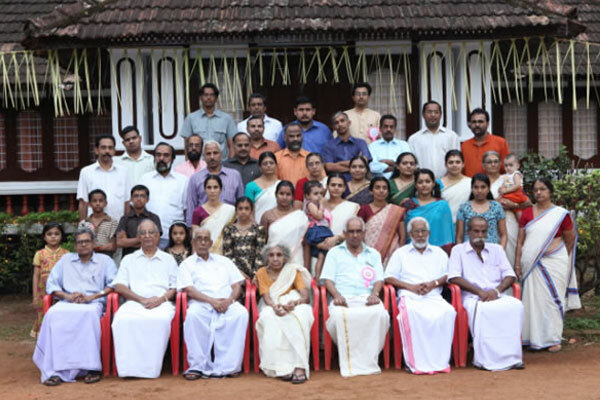 This ware a great gathering with the presence of family members of Vayaskara Mooss, Kuttanchery Mooss, Pulamnanthole Mooss, Thaikkattussery Mooss, Thrissur Thaikat Mooss, Alathiyoor Nambi etc sharing their experiences and views. 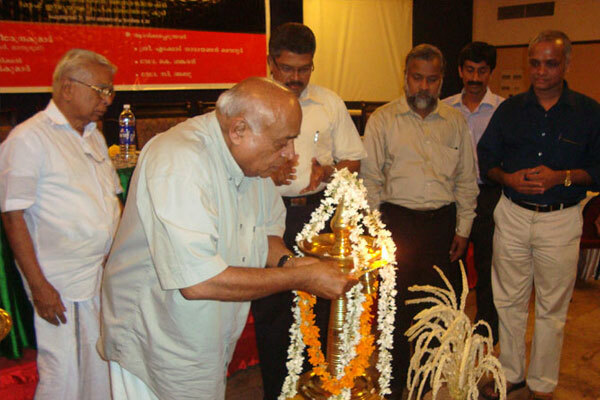 This seminar was held on February 21, 2010 at Malabar Palace which was inaugurated by Sri M.P.Veerendra Kumar (Managing Director, Mathrubhumi Daily) under the presidency of Dr.V.G.UdayaKumar(General Secretay, AMAI)in presence of Dr.Manoj Kaloor (AMAI,Secy ,Calicut),Dr.N K Madhavan Nambiar(President, AMAI,Calicut),Dr.Sasi Keezhattupurath. 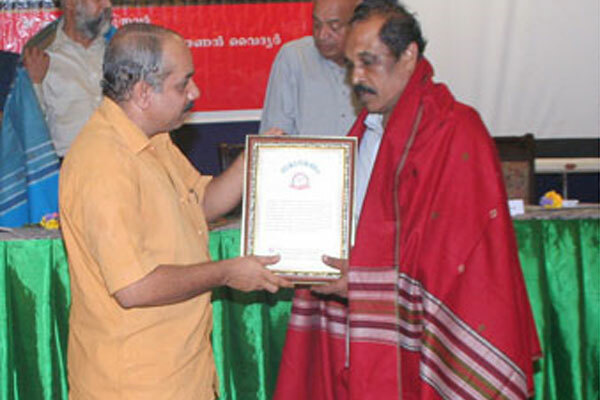 Famous Vaidyas were honoured by Sri.A Pradeep Kumar. 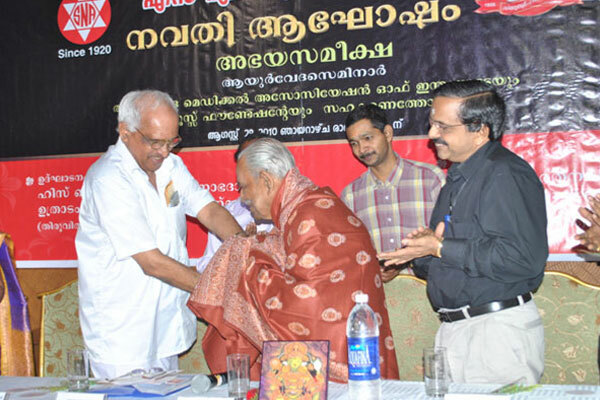 Eminent Doctors viz.Dr.Indira Balachandran,Sri Arumanoor Parameswaran ,Dr.Jerome V Kurian, Dr.T S Krishna Kumar presented papers in the seminar. 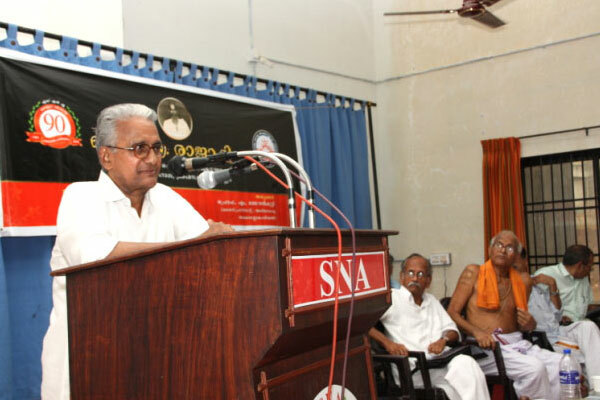 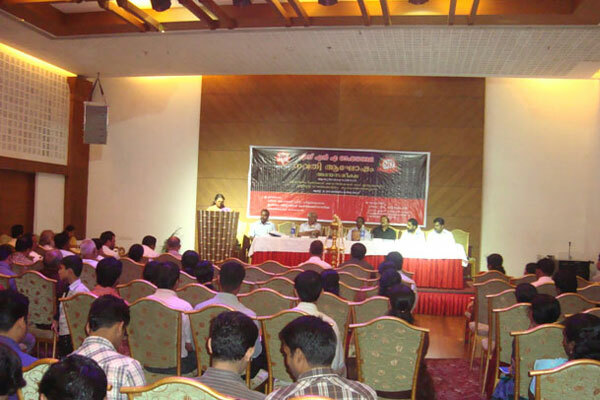 An Exclusive seminar conducted in association with AMAI & Unnimooss Foundation on August 29th, 2010 which was inaugurated by His Highness Sri Padmanabhadasa Uthradam Thirunaal Maarthanda varma, Maharajah of Travancore under the presidency of Dr.K.Gopakumar(President, AMAI, Thiruvananthapuram) in presence of Dr.C.Rathnakaran (Pro – Vice Chancellor,Kerala University for health and allied sciences),Dr.Anitha Jacob (Director, ISM Government of Kerala),Dr Justin Jose C B(state Joint Secretary ,AMAI),Ashtavaidyan Alathiyoor Narayanan Nambi, Dr.M.R Vasudevan Namboodiri,Dr.M N Sasidharan(Appavu Vaidyan , Ayurveda Medicals & Nursing Home,Kottayam),Sri Arumanoor Parameswaran,Thiruvananthapuram. 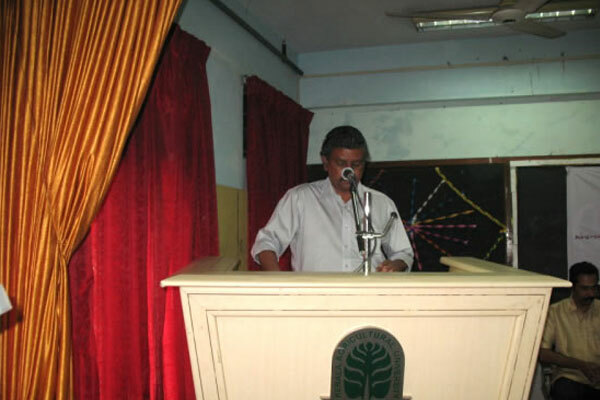 Famous Doctors Viz. 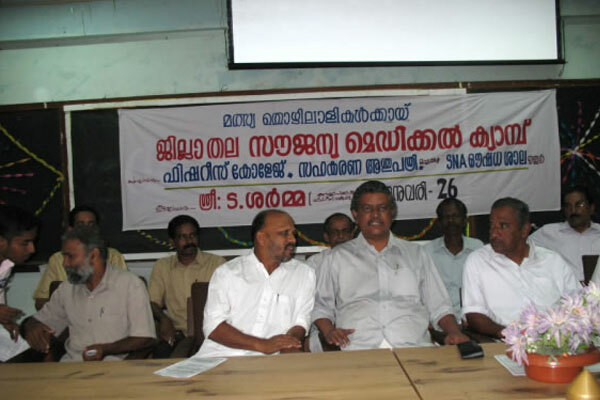 Dr.S Ajayan(Asst.Professor,Vishnu Ayurveda College,Shornur),Dr.Gopakumar S(Asst.Professor, GovernmentCollege, Thiruvananthapuram), Dr.Murali K (Professor, Govt.Ayurveda College, Thripunithura),Dr.Manoj Sankaranarayana(Lecturer ,Rajiv Gandhi Ayurveda Medical College) presented papers in the seminar. 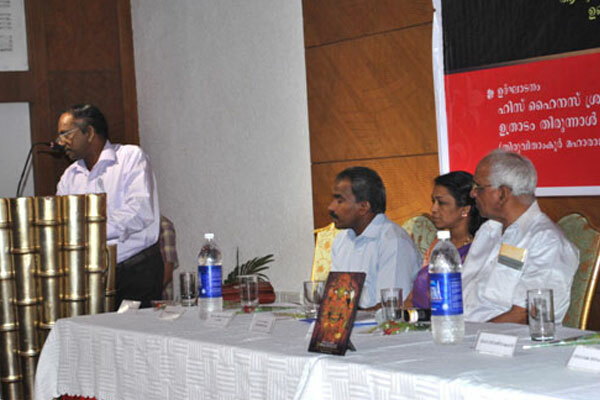 This Seminar was unique with its subject which was held on October 2nd,2010 at East Cultural Assocation Hall at Bangalore. 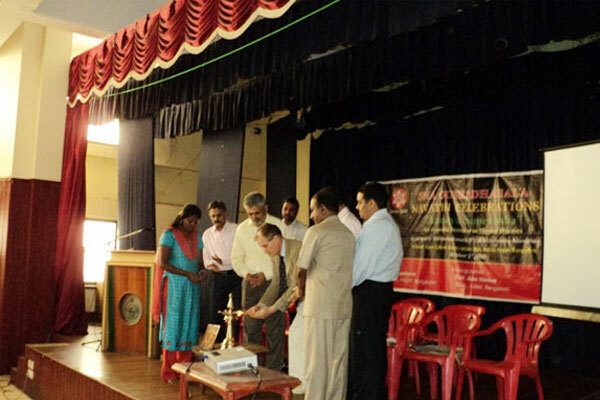 The Seminar was well attended by Doctors from Karnataka District which was inaugurated by Prof.Alex Hankey(Dean , IAIM,FRLHT,Bangalore) which was presided by Dr G G Gandharan(Joint Director, FRLHT,Bangalore), with auspicious presence of Mr.Raghu S MLA, Dr.Udayakumar V G (State Secretary, AMAI, Kerala ) ,Dr.Balram(SMO,Sagar Ayurpharma),Dr.Vivek G G(Programme Officer, I – AIM ,Bangalore)etc. 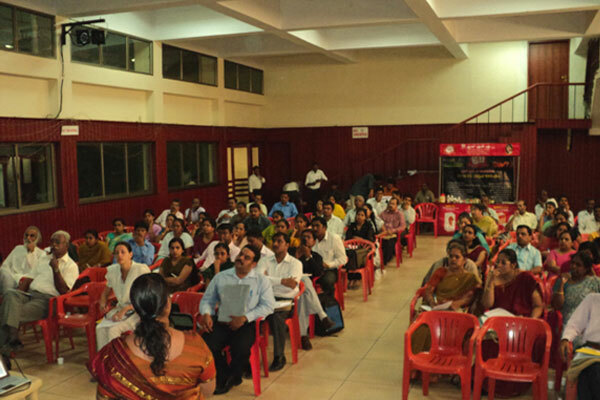 Eminent doctors like Dr.Kishore R(Research Officer, NADRI,Bangalore),Dr.Radhika Varma(H O D,Dept of Shalakya ,Ayurveda College,Coimbatore),Dr.Padmanabhan (DMO Vayanad,Kerala) presented paper on the various topics related to Thyroid Diseases. 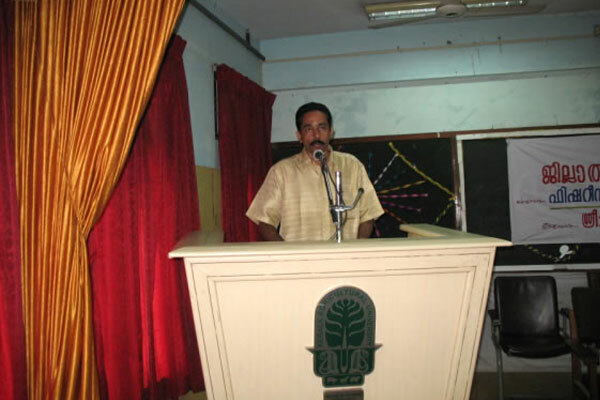 This Ayurveda Seminar was held on November 7th at Angamali with immense participation of Doctors from Thrissur, Ernakulam , and Kottayam which was presided by Dr.T.A.Salim (President, AMAI) and inaugurated by Professor Sukumar Azhikkode in the prestigious presence of Dr.S.Narendrababu (Secretary,AMAI,Ernakulam),Sri Joyachen K Erinchery(State Executive member,AMMOI) Dr.A.M.Anvar(State Executive member, AHMA),Dr.K.Sasidharan(Prof.Nangelil Ayurveda College, Kothamangalam),Dr.C.K.Krishnan Nair(Professor, Government Ayurveda College, Thripunithura),Dr.C.D Krishnakumar(Vice Principal, Nangelil Ayurveda College , Kothamangalam),Ashtavaidyan Alathiyoor Narayanan Nambi. 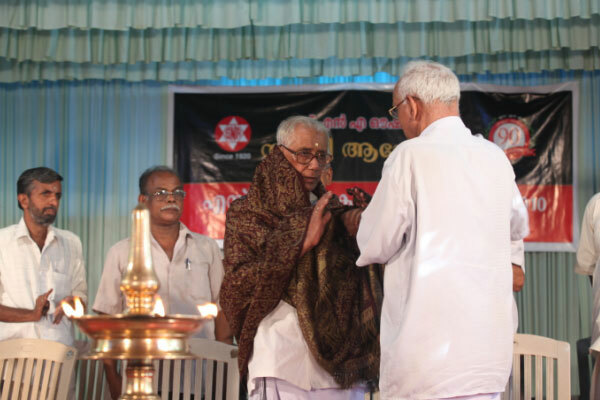 Famous Elder Vaidyas viz. 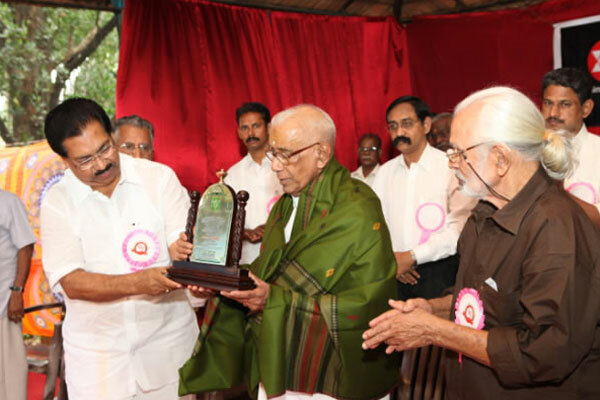 DR.K.Sreedhaan Vaidyar,Dr.P T Krishnan Nambiar, Dr.N P P Namboodiri & Dr.K I Varghese Pattarumadom were honoued by Sri P Rajeev (Member , Rajya sabha). 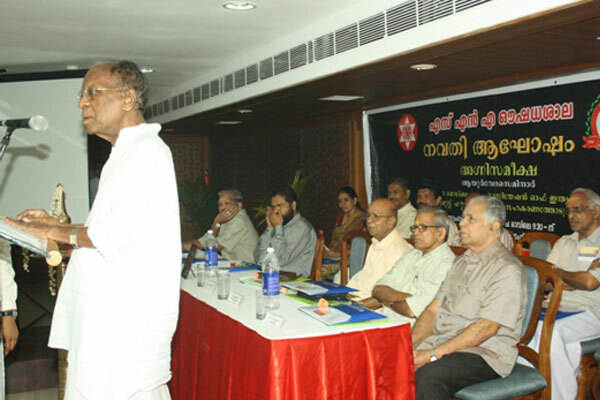 Eminent Doctors Viz. 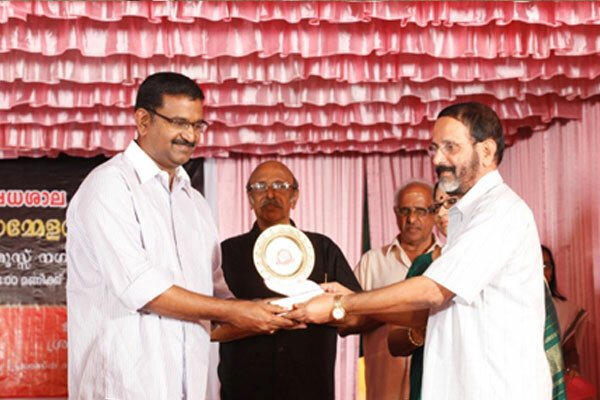 Dr.S.Ajayan(Asst.Professor,Vishnu Ayurveda College, Shornur), Dr.Syamakrishnan G(SMO,Government Ayurveda Hospital ,Venganoor,Thirvananthapuram),Sr.P S Sreekumar(SMO,Government Ayurveda Hospital, Kidangoor,Kottayam), Dr.Anaghan C(SMO,Govt,Ayurveda Dispensary,Ernakulam) presented papers on AGNI. 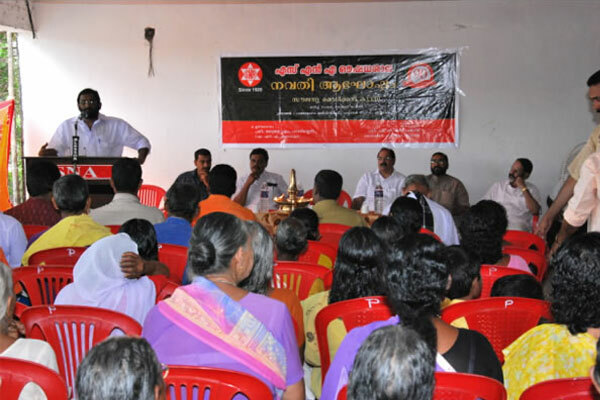 Over 300 Medical Camps were conducted in peak and corners of Kerala which benefited over 40000 poor families in effect. 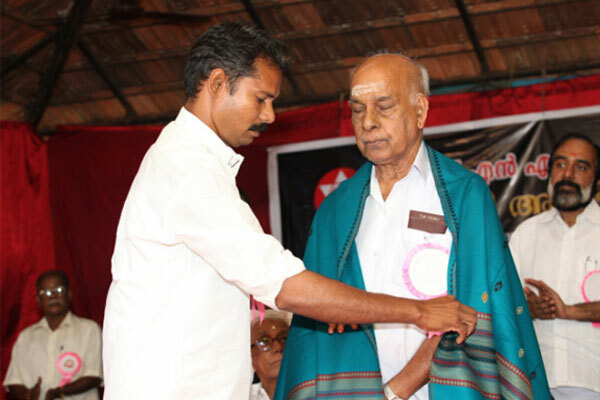 Famous Poet Sri.K K Raja who belongs to the Kumarapuram Royal Family and have strong impression as famous poet of then period of Manipravalam who have a strong position among the great poets.K K Raja Commemmoration was conducted on April 6th ,2010 under the presidency of Prof.M Madhavan kutty(Vice President,Akhila Kerala Akshara Sloka Parishad) which was inaugurated by Dr.K.G Poulose(Vice Chancellor, Kerala Kalamandalam) with auspicious presence of Prof.K.P Sankaran,Dr.S.Vasanthan,Sri M P Surendran,Mathrubhumi),Sri K P C Narayanan Bhattathirippad(President , Kundur Smaraka Sadassu, Cherpu),Sri V.K.Sasidharan Namboodiri(Secretary, K K Raja Smaraka Aksharasloka samithi, Nettissery) and Sri V K Narayanan Namboodiri(Secretary, Brahmaswom Madom, Thrissur).Akshara Slokam competition was also held in connection with it and Sri.M P Surendran ,Mathrubhumi distributed the prices for won candidates. 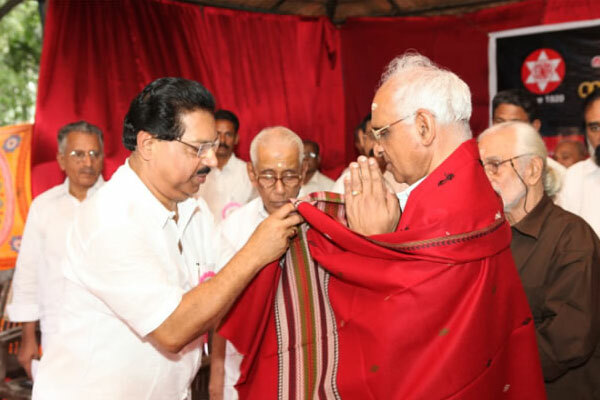 P.T.Narayanan Mooss was famous Ayurveda Doctor who have moulded the SNA Oushadhasala to the present structure and the ancestor of Dr.P T N Vasudevan Mooss .The P T Narayanan Mooss Commemmoration was held on May 8,2010 at SNA Oushadhasala Premises under the presidency of Ashtavaidyan Alathiyoor Narayana Nambi and was inaugurated by Ashtavaidyan E T Narayanan Mooss with the presence of Dr.T.Unnikrishnan, Sri.G.Mahadevan,Sri K Manoharan,Dr K Muralidharan, and Sri CN Narayanan. 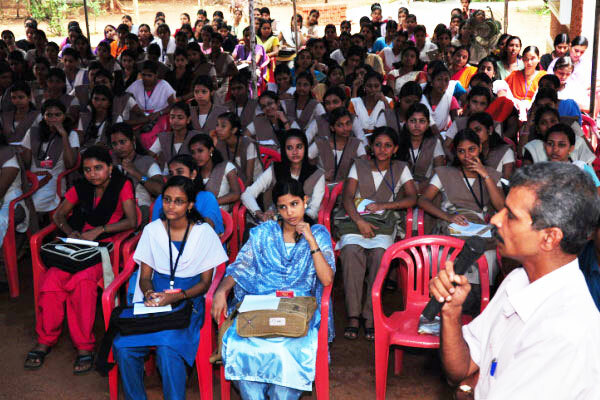 A One-day Awareness camp on Ayurveda was conducted for students of Sakthan Thampuran College, Thrissur.More than 200 students attended the seminar .Dr.C.D Krishna Kumar (Vice Principal , Nangelil Ayurveda College) took class for the students to impart general awareness on Ayurveda. 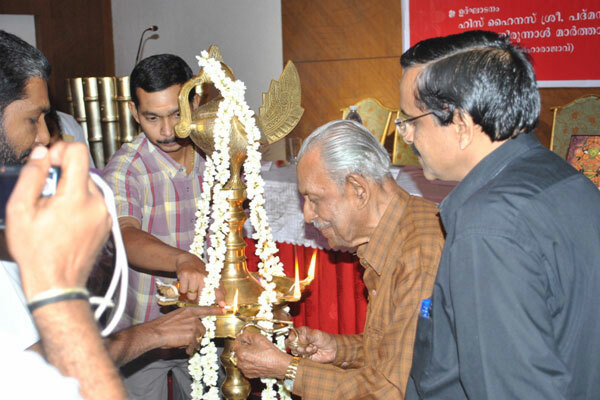 December 1st of Every year is being celebrated as Unnimooss Day in remembrance of founders day of this esteemed organization with enlightening Ayurvedic Seminars and discussions with distinguished members as Faculty. 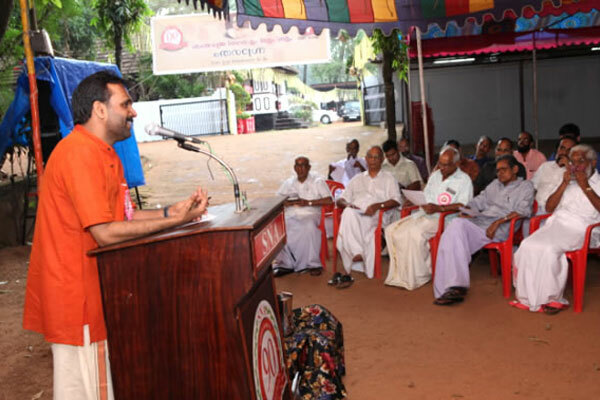 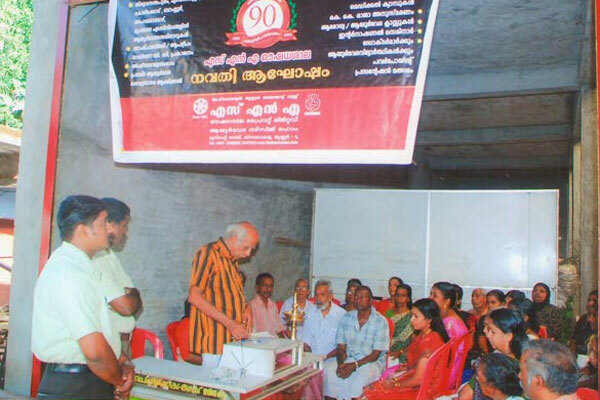 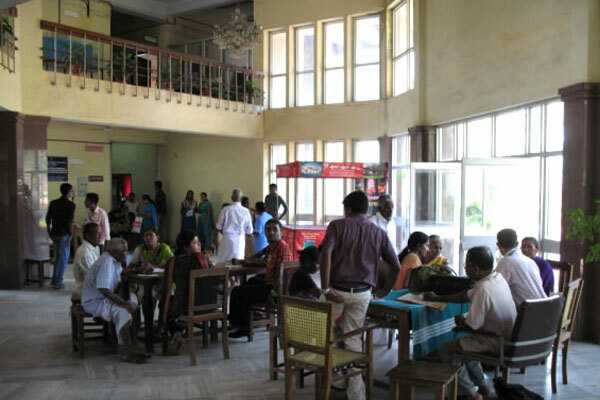 This year Unnimooss day is celebrated as Blood Donor’s Day where over 90 people donated the blood.This Auspicious function was inaugurated by Dr.C.N.Parameswaran , the founder of IMA blood bank in Thrissur who is also the Managing Director of Aswini Hospital. 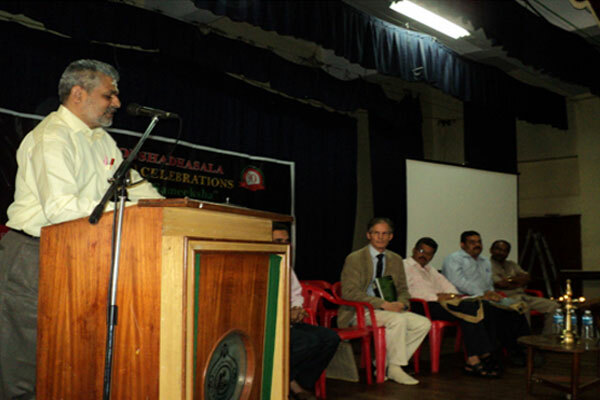 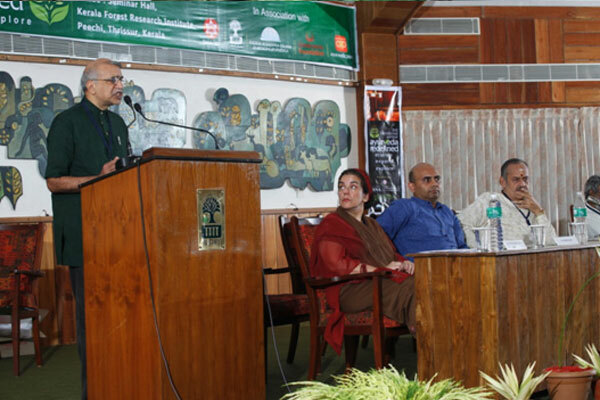 The second International Seminar was held on December 4th – 5th , 2010 at Kerala Forest Research Institute, Peechi in association with Kerala Forest Research Institute Peechi,Kerala , Ayurvedic Point, Italy, Unnimooss Foundation,Societa Scietifica Italiana Di Medicina Ayurvedica. 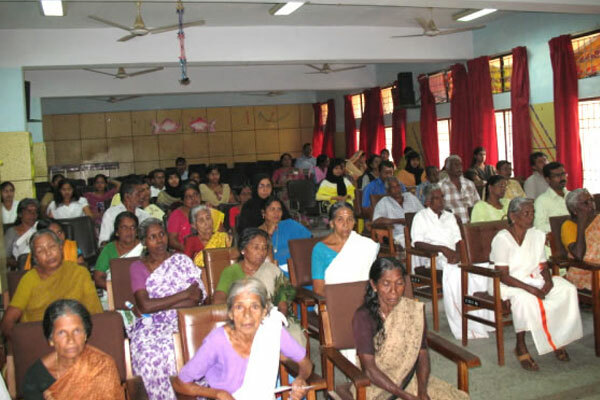 This seminar was unique with its theme to redefine the Ayurveda in the present context of Globalisation, focusing its localized importance. 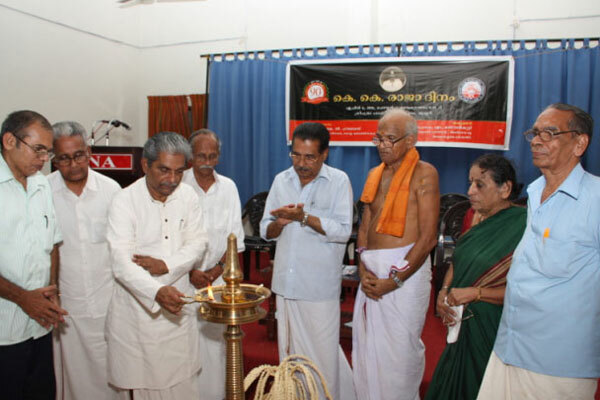 The Seminar had four Plenary Sessions on Topics – Essence – Medicinal Plants East & West, Expand – Panchakarma East/West, Demonstration on Yoga and Meditation and Explore Ayurveda as Knowledge System – Global Acceptance respectively.The Seminar was inaugurated by Dr.K.Mohandas (Vice Chancellor,Kerala University for Health and Allied Sciences under the presidency of Dr.K.V.Sankaran (Director, Kerala Forest Research Institute) in the presence of Adv.Therambil Ramakrishnan MLA, Sri. 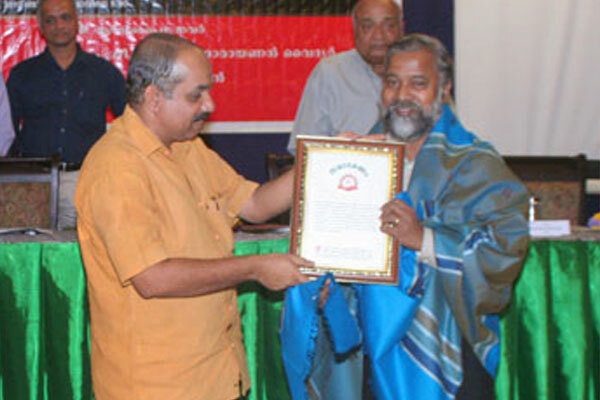 Rajaji Mathew Thomas MLA. 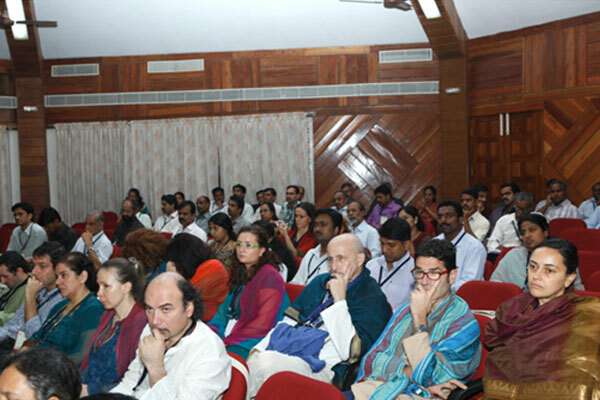 Dr.Antonio Morandi (President, Ayurvedic Point, Italy), Dr.Guido Sartori(Senior Teacher,Ayurvedic Point,Italy),Mrs.Katina Jones(CEO Equals International , South Australia), Mr.Venkitaraman(Ayurveda Distributor , US) etc attended the seminar. 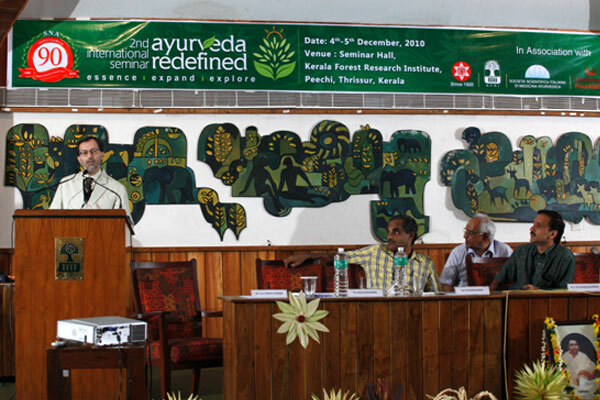 Eminent Personalities in the Ayurveda viz. 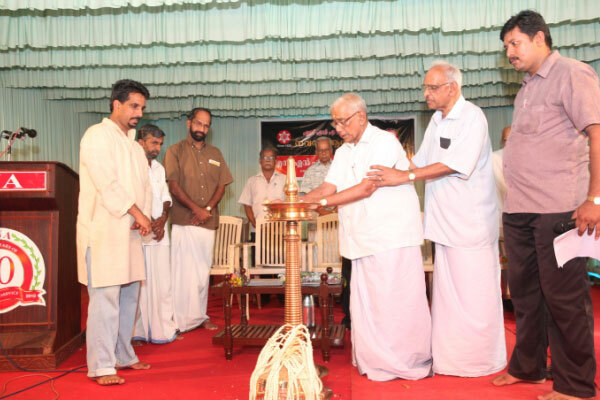 Dr.S.Rajasekharan ,(Head – Ethno –medicine & Ethnopharmacology), Dr.T.G.Vinod Kumar(Ayurveda Expert,Dept Ethnomedicine , Dr.Guido Sartori (Ayurvedic Point,Italy),Dr.N.Sasidharan,Dr.E.M.Muralidharan, Dr.P K Muralidharan(Scientist, KFRI), Dr.Dilip Kumar(Head of the department, Department of Swasthavrutha), Dr.P K S Nair(Asst Director, National Research Institute of Panchakarma, Shornur), Mr.Pisano Stefano, Italy,Sri P R Krishnakumar (MD AVP, Coimbatore) ,Mr Darshan Shankar(Vice Chairman ,I-AIM, Bangalore),Dr.Ramkumar(MD ,Punarnava,Coimbatore),Dr Agnives C R(Principal, Nangelil Ayurveda College), Dr.Maria CristinaMinniti , presented their papers and Dr.A.N.Narayanan Nambi (Secretary , Unnimooss Foundation ) was the Moderator of the Function. 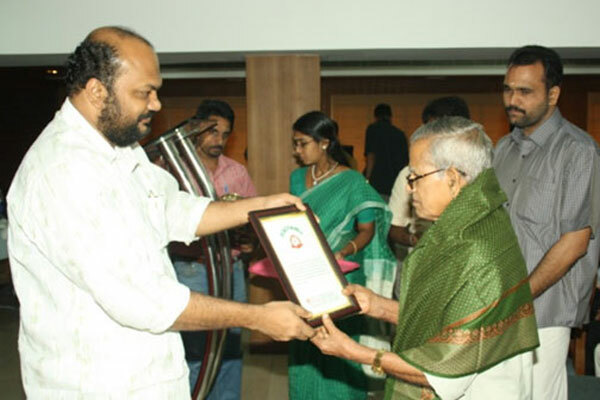 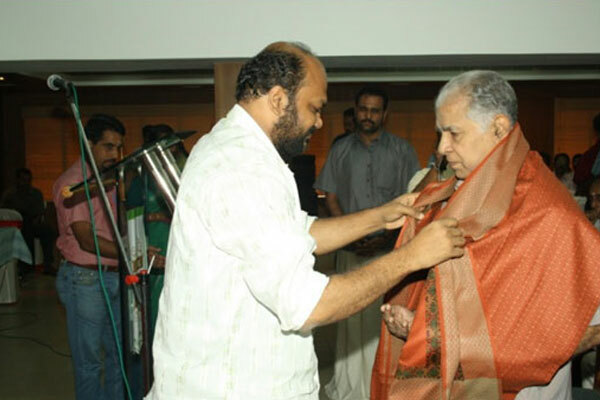 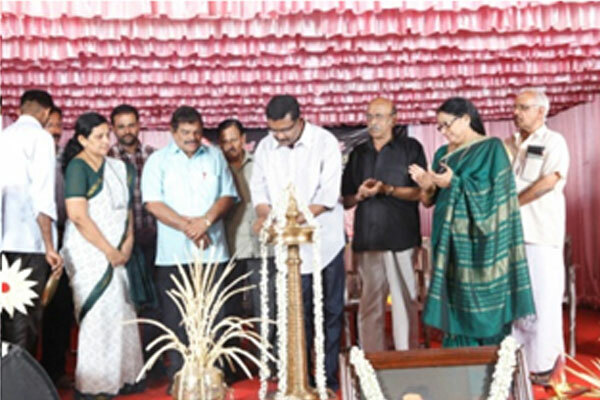 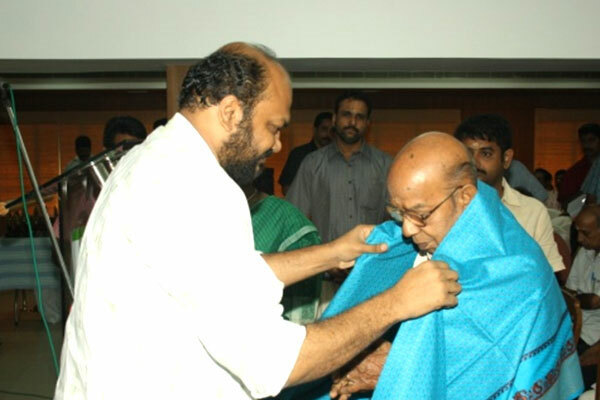 The Navathi Celebrations winded up in 5th December 2010, which was inaugurated by Mr.Blessy – Famous Cine Director with auspicious presence of Ashtavaidyan Alathiyoor Narayanan Nambi, Smt.Kalamandalam Kshemavathi,Dr.M.Jayaprakash(State Vice President, Kerala Vyapari Vyavasaya Ekopana Samithi),Sri Vaisakhan(Famous writer),Sri K V Balakrishnan (President, KSSIA),Smt Susan Baby (Councellor),Sri Joy M Mannur(President, Press Club).